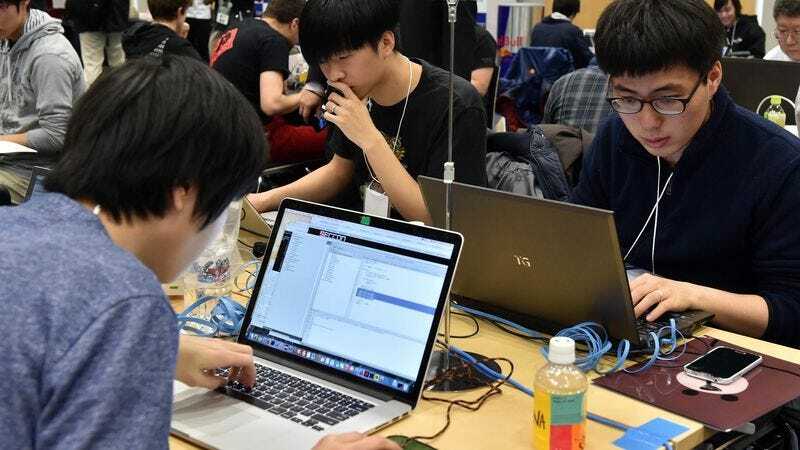 BEIJING—Despite devoting countless resources toward rectifying the issue, Chinese government officials announced Monday that the country has struggled to recruit hackers fast enough to keep pace with vulnerabilities in U.S. security systems. “With new weaknesses in U.S. networks popping up every day, we simply don’t have the manpower to effectively exploit every single loophole in their security protocols,” said security minister Liu Xiang, who confirmed that the thousands of Chinese computer experts employed to expose flaws in American data systems are just no match for the United States’ increasingly ineffective digital safeguards. “We can’t keep track of all of the glaring deficiencies in their firewall protections, let alone hire and train enough hackers to attack each one. And now, they’re failing to address them at a rate that shows no sign of slowing down anytime soon. The gaps in the State Department security systems alone take up almost half my workforce.” At press time, Liu confirmed that an inadequate labor pool had forced China to outsource some of its hacker work to Russia.